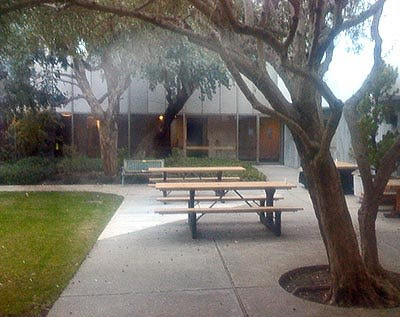 Jesus has left the picnic area. Some performances by the absolutely astonishing (and I don't use the word lightly) composer and pianist Hiromi Uehara. Deep Into The Night, with her current group Sonicbloom, recorded at Harajuku Quest Hall, Tokyo, Japan, February, 2007. Kung Fu World Champion, with her original trio, Tony Grey on bass guitar and Martin Valihora on drums. Old Castle, By The River, In The Middle of a Forest, again with the trio at the Shinagawa Stellar Ball, 2005. A couple of years ago I saw her play with Sonicbloom at the Bach Dancing and Dynamite Society in Half Moon Bay. I sat about six feet from her. One can literally feel the joy emanating from her as she plays. Absolutely astonishing. Barry Manilow is a registered trademark of Hastings, Clayton & Tucker, Inc. All rights reserved. On the road again. Back Sunday. Things are tough for specialist magazine publishers these days. In the industry in which I work, issues are getting frighteningly thinner month by month, people who've been at various magazines seemingly forever are being laid off, and some titles are transitioning from print-plus-web to web only. These developments are typically accompanied by PR statements desperately trying to put a positive spin on what are obviously far from positive situations. As I mentioned in a previous post, I have for years subscribed to Communication Arts, one of the premier publications serving the design, marketing communication, and advertising industries. It seems that even they are not immune to the woes of print publications, but serving an audience that includes the elite members of the communication industry, you'd image their PR would be a good deal more sophisticated than most. Communication Arts is changing its publication frequency, from eight times a year to six times a year, to bring editorial consistency to our product, save natural resources and give our subscribers more of what they want. 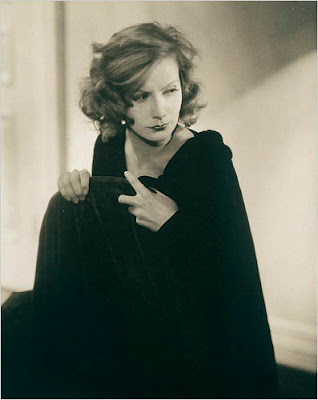 Greta Garbo, photographed by Edward Steichen, 1928. Marks & Spencer CEO: "the sharpest downturn in the shortest time"
And there're lots more where those came from. So, Atlas Shrugged fans, how's that no-oversight, free-market economy working for you? The New York Daily News reports that bus matron Linda Hockaday was fired and jailed Friday on charges of stranding a severely disabled man overnight aboard a freezing bus. The 22 year old man, who suffers from cerebral palsy and reportedly has the mind of a toddler, fell asleep on the bus while returning from a program he attends in SoHo and was left on the bus by Hockaday when it reached the bus company parking lot. After being reported missing by his panicked family, he was finally discovered 17 hours later curled up and rocking inside the bus. He was hospitalized for hypothermia as the overnight temperature had dropped to 15 degrees. ....she didn't want to be late for church. I didn't know that Dumb & Dumber was a documentary. What is it that I did that is so fundamentally wrong, that deserves this kind of response to my service? He neither served the longstanding role as "the people's attorney" nor fully met and tamed his duties and responsibilities to the constitution. He was a man who got the job not because he was supremely qualified or notably well-respected among the leading legal lights of our time, but because he had faithfully and with blind obedience served President George W. Bush for years in Texas (where he botched clemency memos in death penalty cases) and then as White House counsel (where he botched the nation's legal policy on torture. For some reason, I am portrayed as the one who is evil in formulating policies that people disagree with. I consider myself a casualty, one of the many casualties of the war on terror. It serves as a daily reminder to the leaders of the free world, and to the many visitors to our nation’s capital, that law without conscience is no guarantee of freedom; that even the seemingly most advanced of nations can be led down the path of evil; and that we must confront horror with action and vigilance, not lethargy and cowardice. ...flagrant and pernicious abuse of power and authority. It undermines respect for and trust in authority, government and a rule of law. The gravity of the offense of torture is beyond dispute.